In 1885 the San Joaquin and Sierra Nevada Railroad Company completed a narrow-gauge railroad from Brack's Landing to Valley Springs. 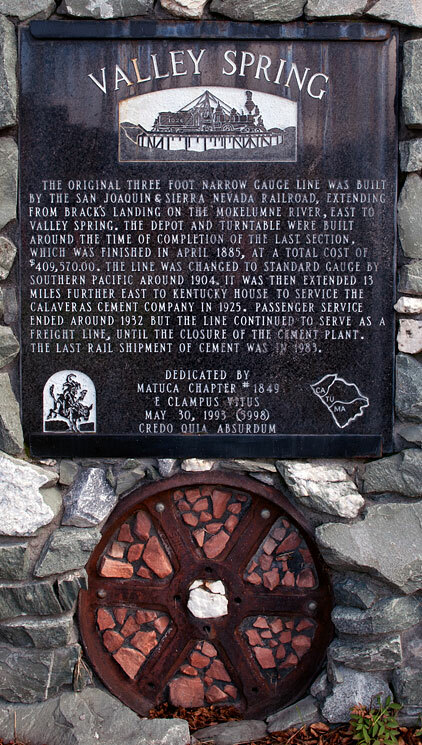 The line eventually became the property of Southern Pacific Company, and a standard-gauge line into Valley Springs was substituted. 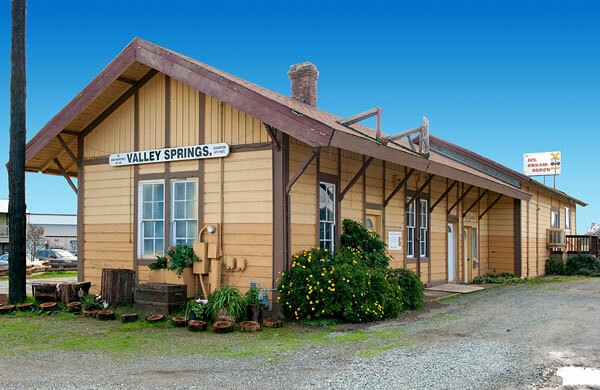 We were unable to locate a California commemorative plaque for Valley Springs, but the Clampers erected a Valley Spring plaque near the old Southern Pacific depot. 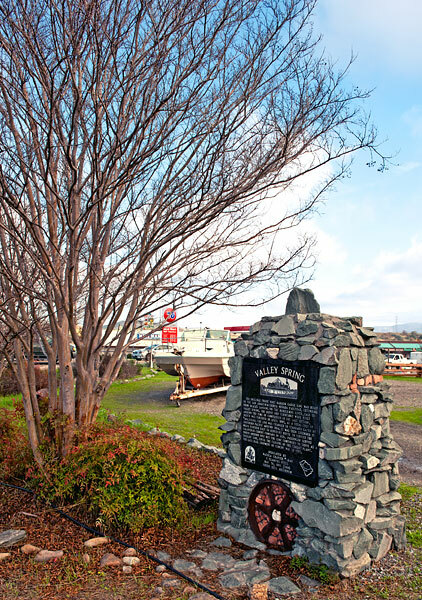 The original three foot narrow gauge line was built by the San Joaquin & Sierra Nevada Railroad, extending from Brack's Landing on the Mokelumne River, east to Valley Springs. The depot and turntable were built around the time of completion of the last section, which was finished in April 1885, at a total cost of $409,570. The line was changed to standard gauge by Southern Pacific around 1904. It was then extended 13 miles further east to Kentucky House to service the Calaveras Cement Company in 1925. Passenger service ended around 1932 but the line continued to serve as a freight line, until closure of the cement plant. The last rail shipment of cement was in 1983.